Super Hot!!! 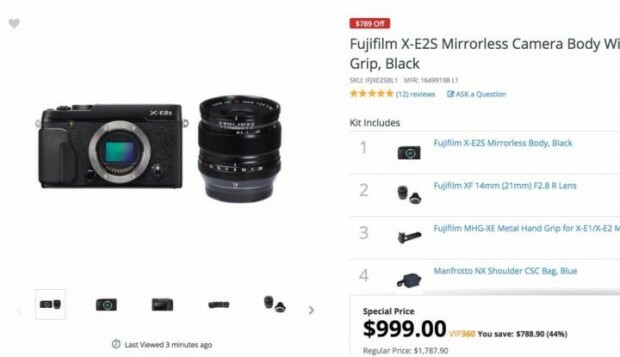 Adorama has a great Holiday Deal on the Fujifilm X-E2S Mirrorless Camera Body With XF 14mm F2.8R Lens and Grip for only $999. This is $789 cheaper than regular! This is the lowest price and you can also check price at Amazon.